What are the components of consciousness? In the dissertation of L. Kurt Engelhart we see a fourfold used to analyze the texts and bodies of work of both scientists and philosophers, a hermeneutical tool if you will. This tool is also styled by concepts of “systems theory”, and requires the exposition of the aspects of Content, Control, Process, and Purpose of the authors. 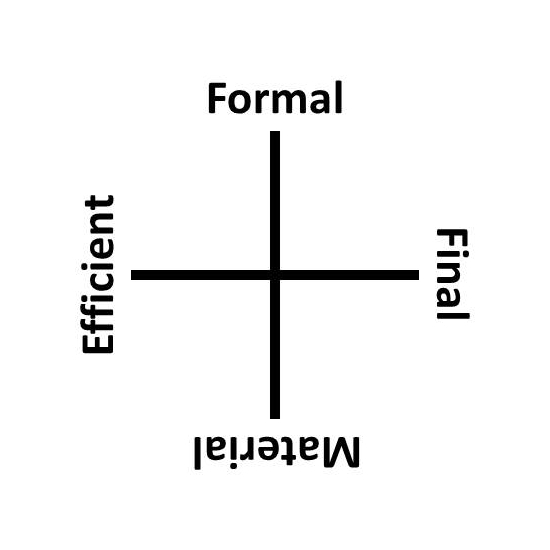 These match closely the Four Causes of Aristotle, which are the causes of made things or the explanations of how and why they came about: material, efficient, formal, and final. In fact, this close association was one of the main reasons I dove into the world of fourfolds. Texts are made things, after all. Making is so fundamental to what we do, that humans have been called “Homo Faber”, man the maker. We make tools, stories, culture, and even our concept of self. What if I turned this tool onto my own work, the writings and images found here? Perhaps that will be the project of another analyst, if my efforts warrant. What if I applied this tool to Engelhart’s project? That would be interesting indeed. Another fourfold Engelhart presents is that of the domains of conscious experience, or the self itself as system. 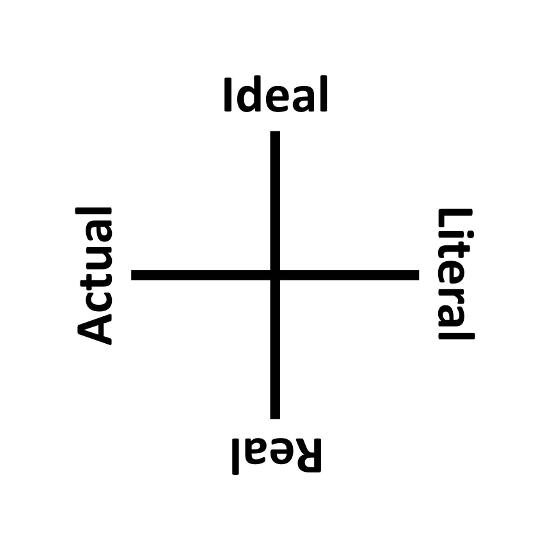 This fourfold consists of the Real, the Actual, the Ideal, and the Literal, but my version is in disagreement with Engelhart’s as to the classification of integrative and differentiative for the Ideal and the Literal. My assignments match the conjunctive and disjunctive properties of the operators of Linear Logic. Also left out is the Universal and how it supersedes the Actual as we make a complete turn. I like my version because it is similar to Richard McKeon’s Things, Thoughts, Words, and Actions. Also T. S. Eliot’s Falls the Shadow. This study describes, as a single systemic model of inquiry, the context common to conscious experience of the phenomenon of inquiry. Data are the published texts of selected contemporary writers relevant to the question. The problem is to define a common systemic structure of inquiry in a context of consciousness. Research verifies that a specific structure is common to these writers and that their respective views are converging on this same structure. Identifying a common structure involves reducing the textual descriptions of the writers to their systemically relevant essentials. Defining the essential elements and describing a reduction method depends heavily on theory of metaphor and metaphorical evolution. A history of the metaphorical structure relevant to inquiry is described and this structure is used as a basis for finding structure in the selected texts. Texts researched include evolutionary biology, sociology, psychology (phenomenology), and philosophy. This work replicates that done by Talcott Parsons in experimentally describing a voluntaristic theory of action. A wholistic theory of inquiry is described using the same systemic scheme. The metaphysical approaches to inquiry of realism and idealism have converged on a common theoretical structure for describing inquiry. 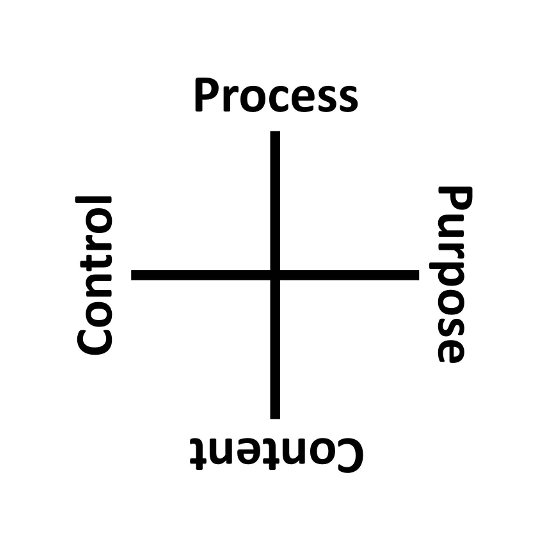 Commonalities emphasize systemic structure comprising the elements of function: purpose, process, content, and control. It has been necessary to distinguish between affectual and instrumental purposes, and between organic and mechanical function. The ontological essentiality of the structure reveals a necessary logical relationship between function, systemicity, wholeness, and rationality in human understanding. Continuing research in philosophy is crucial to expanding our understanding of the ontological and epistemological structural essentials of consciousness. Human inquiry during the last century has specialized in the material realm of realism, objective description, and mechanical explanation. A wholistic theory of inquiry does not discount the contributions of realism-based science or idealism-based philosophy, but expands the horizons of each to include the other. Where mathematics provides essential tools for mechanical explanation, organic explanation still lacks abstract structural tools for describing conscious organic, including human, behavior. The intent of a wholistic theory of inquiry is to provide conceptual tools that support disciplined inquiry into conscious behavior. I removed some text about the “Book of Nature”, because it needed more work. This mentioned the systems theory adage “the purpose of a system”, which can also tie into “meaning as use”. I also missed seeing an obvious thought that inquiry is making. Derek Wise's blog: Mathematics, Physics, Computing and other fun stuff. A blog about computers, evolution, complexity, cells, intelligence, brains, and minds.